` Some of our customers are unsure when they call us if we can finance these above ground pools. The price point on these types of pools is often much lower than a traditional inground pool and we can absolutely finance above ground pools. 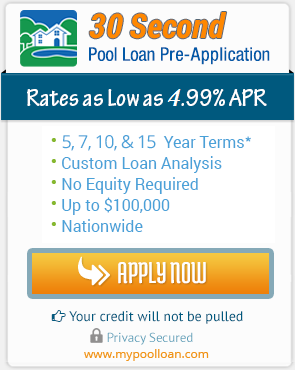 We will finance these pools even if you have fair or bad credit in many cases. We specialize in all types of pool financing including inground pools types including concrete pools and fiberglass pools as well as all types of above ground pools. Wait until you see how low your payment can be when financing an above ground pool. Happy swimming!